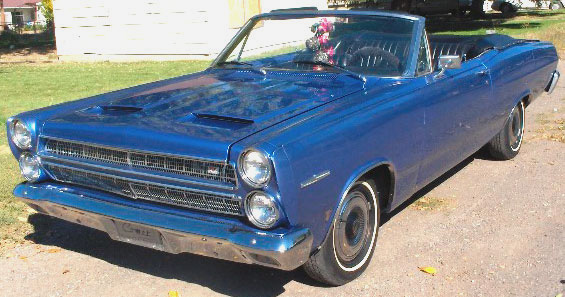 This beautiful 1966 Mercury Comet Cyclone Convertible is a solid #2 car. 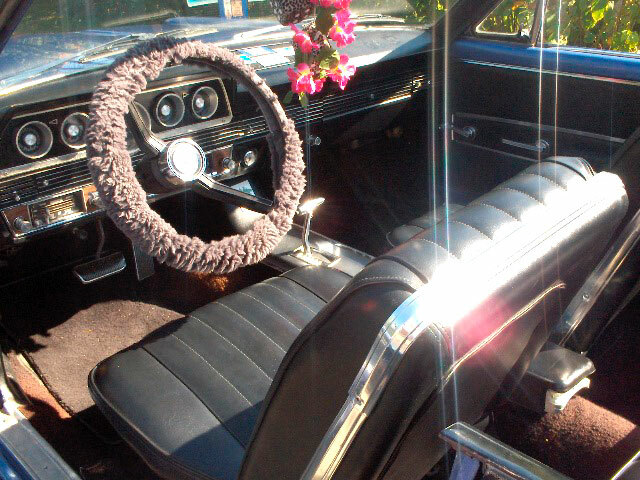 The car has new blue paint and black interior. The white top is new. It has bucket seats and a console. It is a factory A/C car. 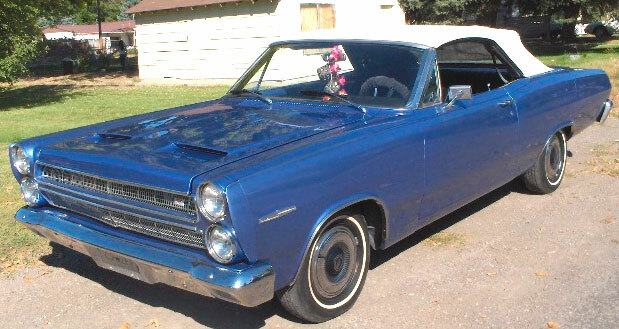 It is powered by a low-miles 1968 Ford 302 with 4 barrel and automatic transmission. It has a new three core radiator. The restoration was done 8 years ago and since then it has only been driven about 5,000 miles to and from shows. It has the original fiberglass hood. 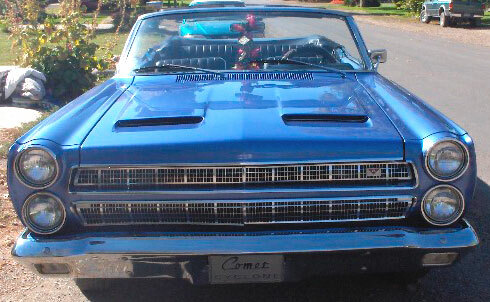 An original Cyclone grill and set of hubcabs come with the car. The air conditioning and heater needs to be hooked up. The car comes with a new heater core, original condenser and lines. The motor has the a/c compressor already mounted. It could use a new rubber seal kit for the top. Call (406) 318-0270 for details about this 64 Cyclone convertible.